The 2018 Medical Deans Annual Conference, recently held at Bond University, featured presentations and panel discussions on a range of issues including future models of care and their implications for the medical workforce, the Medical Research Future Fund, partnering with Indigenous health services, health system stewardship, meeting community needs, students health and wellbeing, and student selection. The conference program can be found here and the conference attendees can access the presentations here. 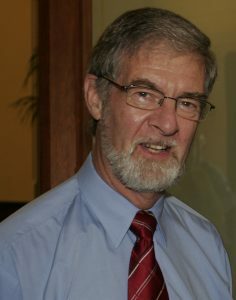 Professor Allan Carmichael was the inaugural President of Medical Deans from 2007-2009. Following Professor Carmichael death on 28 January 2012 after a short illness, Medical Deans established the Memorial Lecture to recognise Allan’s significant contribution to medical education and the organisation for over more than a decade and, in particular, his commitment to the importance of partnerships. The inaugural Allan Carmichael Memorial Lecture was presented at the 2012 Annual Conference in Sydney and continues to be a key event at the Medical Deans Annual Conference.